We’ve teamed up with Whole Foods Market UK to bring you an in-store monthly Craft Chocolate Focus, where every month we’ll be showcasing a new theme. 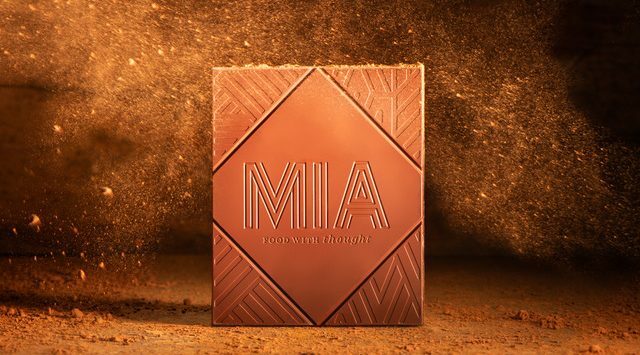 Having kicked off the New Year with 100% chocolate, for the month of February we’ll be taking a slightly sweeter and fruitier turn, focusing our attention on MIA chocolate. The Craft Chocolate Focus on MIA has been finely tuned with Valentine’s Day and Fairtrade Fortnight on the horizon. MIA stands for ‘Made in Africa’, an acronym that neatly sums up everything this maker stands for. The team behind MIA believes that there is truly exceptional food and drink being crafted in Africa from locally sourced ingredients. Madagascar has a rich heritage of cacao growing, and an ever increasing number of chocolate makers are choosing to make chocolate on the island too. When it comes to MIA’s ethical supply chain credentials, this chocolate maker partners with Proudly Made in Africa. The MIA factory and cocoa farmer relationships are audited according to the Ethical Trading Initiative Base Code, which is one of the highest audit standards globally used by various fair trade schemes. For every sale of MIA chocolate, it contributes to MIA’s ‘1 for Change’ programme. This programme is MIA’s commitment to investing 1% of its sales towards projects in Africa to help save local endangered species or to improve a community’s livelihoods. With “Fairtrade Fortnight” fast approaching, you may notice that there is a vast number of ‘ethically-traded’ or ‘direct-trade’ products on the market that do not carry the Fairtrade certification. And at Cocoa Runners, we’re very often asked whether our chocolate is “Faitrade”. However, the answer is a little more complicated than you might expect. Very few of our craft chocolate makers are Fairtrade-certified, yet all are committed to a ‘fair’ way of making chocolate and many in fact go above and beyond the guidelines of Fairtrade. MIA’s brand mission is to produce high-quality and ethical products from start to finish in Africa. This means paying cocoa farmers fairly for quality beans as well as partnering with a local and entrepreneurial chocolate-making team to make MIA bars. Part of MIA’s choice for this equally challenging and rewarding business model was its passion for the people and continent of Africa. Beyond its ethical stance, MIA chocolate is simply delicious. Whilst we love the chocolate by itself, naturally, we also recommend using the chocolate for flavour pairings or to cook with. Why not pair the 100% bar with some whisky or tannic red wine, or cook up some fruity, fudgy brownies with MIA’s 75% Madagascan chocolate? You can also join us for a very special Chocolate & Wine Masterclass at Whole Foods Market where we’ll be showcasing and pairing a few of the MIA chocolate flavours. Tickets available here.